In Mexico, local resistance to Canadian mining companies is growing as the industry booms. Paulina Agripina Vásquez Sánchez stared out across her family's modest patch of arid land in the mid-May dustbowl of the Ocotlán Valley, in the southern Mexican state of Oaxaca. The less-than-ideal farming conditions in San José del Progreso are low on Paulina's radar though, as she points to one of the five remaining avocado trees on an otherwise barren property. Two months earlier, an attack she blames on thugs in the pay of the town's municipal president uprooted 56 other trees in what was once an orchard. (September 30, 2013 | Washington, DC) In response to a surge in attacks against human rights defenders and journalists in the Mexican State of Oaxaca, the Robert F. Kennedy Center for Justice and Human Rights (RFK Center) sent a letter to Mexican President Enrique Peña Nieto appealing for immediate action to protect those who defend human rights in their communities. The security situation has grown especially dire for rural and indigenous defensores comunitarios (community defenders) over the past few months, culminating in the murder of two human rights defenders and one journalist in Oaxaca State in July. Without prompt action from the Mexican federal- and state-level governments to protect these defenders and implement adequate measures to safeguard them from these aggressions, the RFK Center fears that this frightening situation will not change. 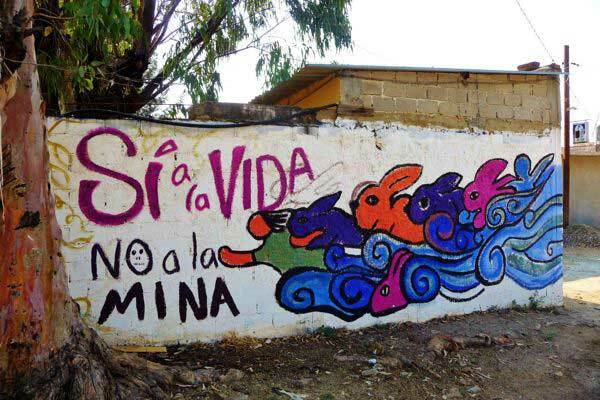 Community and indigenous defenders in Oaxaca are acutely at risk, as they serve as the voice of the community and demand their right to free, informed, and prior consultation regarding the imposition of megaprojects in their territory, such as wind farm and extractive industry initiatives. The RFK Center specifically calls on the Government of Mexico to protect human rights defenders through immediate implementation of the Law for the Protection of Human Rights Defenders and Journalists, and through the protective measures given to several human rights defenders in the region by the Inter-American Commission on Human Rights; to investigate, prosecute, and punish those responsible for these violations; and finally, to promote measures to prevent any future attacks from occurring, including convening discussions with local defenders to solve the root cause of the conflict in Oaxaca. 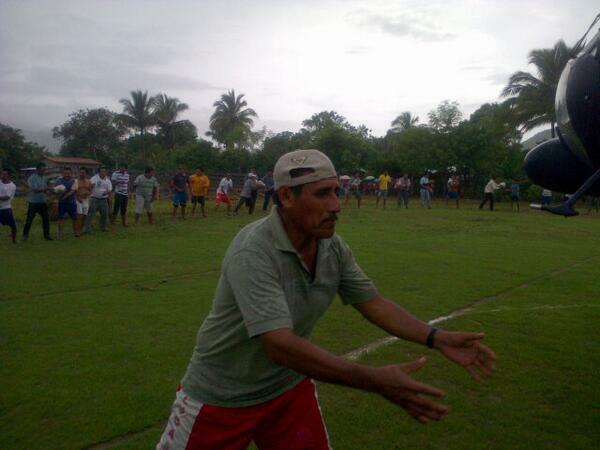 Since yesterday there is an entrance via land to the community of Paso de la Reina. The community have also received provisions from the following organisations, persons and institutions: from the Parroquia de Jamiltepec, the inhabitants of Paso that live in Jamiltepec, from the federal delegate Delfina Guzmán (PRD), EDUCA and CEE, and 470 provisions from SEDESOH. 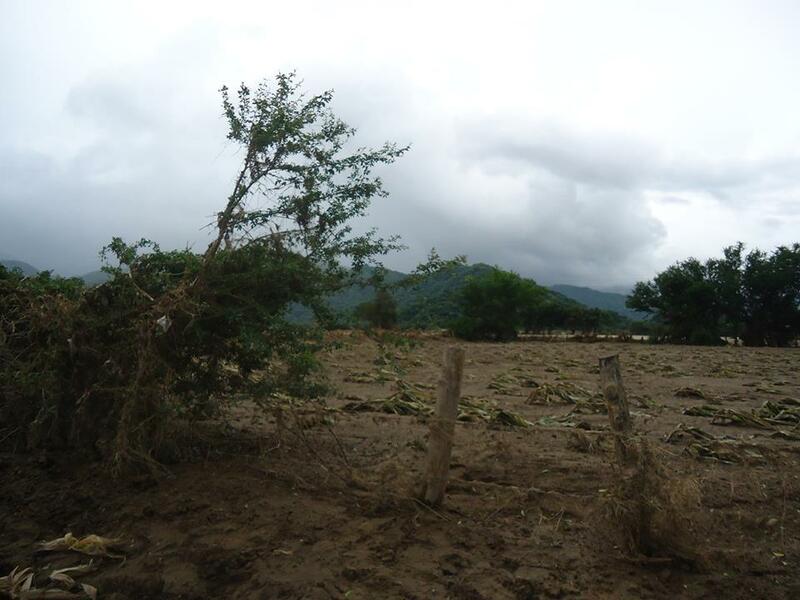 Leonor Díaz Santos, from the Diocesan Commission of Jamiltepec, commented on the photos taken yesterday: “This is what has happened to the fertile lands skirting the Rio Verde, suffering terrible losses in corn production, the community of Paso de la Reina are assembling waterways order to divert the streams and rearrange their roads. The municipal police force arrived to take photos of the community and falsely corroborate that they were working and that the community was receiving technical assistance in rearranging their roads. The last image again reveals that the community of Paso de la Reina continues to battle the torrents of water caused by continued rainfall, and that there is a high risk of getting trapped between the streams, meaning that the entrance to the community remains complicated.” This implies that regardless of the provisions that have reached the community, aid and monitoring is still highly necessary. We will be providng a link on the EDUCA website shortly for those who want to give aid to the community of Paso de la Reina. Residents of Paso de la Reyna are standing, working and organizing themselves. The community, through its own efforts, is carrying out "tequios" (unpaid community works and service)--cleaning up (after the flood) and a team of young people left this Monday to obtain food and supplies in the municipal center of Santiago Jamiltepec, and had food for the community today. They have re-established electricity and telephone service, but potable water is scarce. The municipal president and the Comisiariado Ejidal (head of the community commons) left for the municipal center of Jamiltepec to report on the damages done by the flooding, the municipality has been declared a disaster zone. Compañera Julia Herrera of the Diocese Commission today is organizing a caravan to bring food and other humanitarian aid to Paso de la Reyna. Compañera Leonor Díaz in Tututepec is coordinating storage facilities for humanitarian donations. We are currently monitoring other communities and municipalities that are members of the Council of Peoples United in Defense of the Rio Verde (COPUDEVER), but don´t yet have news, especially from San Antonio Río Verde, Ixtayutla and Tataltepec. We would like to inform you that there is an entrance to the community via land since wednesday, thanks to the road reconstruction work of the community members, carried out by means of colective action. Note: This photo essay is dedicated to the memory of community defender and environmental activist Noé Vázquez, who was brutally murdered on Aug. 2, 2013 as he was preparing for his hosting of the opening ceremony for the 10th anniversary celebration of the Mexican Movement of Men and Women Affected by Dams and in the Defense of Rivers (MAPDER) http://www.mapder.lunasexta.org. Text and photos by Jonathan Treat. Original publication in CIP Americas. The blockade is simple, but its implications profound. A thick steel chain across the only bridge entering the small town of Paso de la Reina, municipality of Santiago Jamiltepec of roughly 500 residents on Oaxaca´s southwestern coast, is attended daily by men and women who prevent the entry of anyone connected with a proposed hydroelectric dam project on the Rio Verde. And for four years that strategy has been successful. Local community defenders, together with people from other communities and members of Counsel of Peoples United for the Defense of the Rio Verde (COPUDEVER), came together recently at El Zanate, a lush green riverside site near the entrance to the town, to celebrate the fourth anniversary of their ongoing, nonviolent blockade, and their success in halting the project to date. Engineers from the Mexican Federal Electric Commission (CFE), surveyors and government officials, at times accompanied by police, have all tried on various occasions to pass the blockade—each time without success. CFE engineers even tried to conduct surveys for the project by skirting the blockade and coming upriver in an inflatable motorboat. Townspeople on watch noted their surreptitious attempt and called together a community commission, who confronted them and escorted them out of town—without their boat and surveying instruments. “They were almost ready to cry because we’d kept their boat and their equipment,” explained Manuel Sánchez Riaño. “They were pleading with us, saying how expensive it was. We gave it all back to them, but told them not to come back. The proposed Mexican government´s CFE “Paso de la Reina Multiple Uses Hydraulic Project“ would have far reaching impacts beyond that community. The Rio Verde, site of the proposed dam, is one of the most biologically diverse and extensive river basins in the state of Oaxaca. And if constructed, the project would directly impact 17,000 residents and indirectly affect another 97,000 in 43 mixteco, chatino, afromexican and mestizo communities in six coastal regions. Vast areas of fertile agricultural lands and access to water sources would be lost, and community defenders and environmentalists argue that the project would be devastating to the local biodiversity of flora and fauna of the region, including the National Park, Lagunas de Chacahua. Opponents of the proposed hydroelectric project note that in addition to the negative environmental impacts, the loss of agricultural lands would deprive residents of agricultural and fishing areas, forcing many to migrate–often ripping community´s cultural and social fabric. Hence the ongoing and widespread opposition to the project. Maintaining the blockade these four years has not been easy. The blockade is manned full-time during daylight hours, meaning time away from work. And there are risks—those opposing the project have consistently been harassed and threatened. Throughout Mexico environmental and community activists have been targets of repression, including assassinations. The blockade at the entrance to Paso de la Reina has been a unifying force for people from the 43 communities in the region that are at-risk of negative environmental, cultural and social impacts of the proposed hydroelectric dam project. 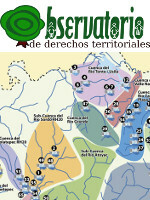 Since coming together in 2007 to form COPUDEVER, the grassroots organization has galvanized major resistance and worked to develop effective, nonviolent strategies for stopping the Paso de la Reina hydroelectric project. But the unity present during the anniversary celebration hasn´t always been there, and has taken years of meetings and organizing to bring communities in the region together. When The Mexican Federal Electric Commission (CFE) project engineers first came to speak with some residents in Paso de la Reina about the many benefits the hydroelectric project would bring—jobs, ecotourism, and development—the residents of the town were divided about whether to accept or oppose the project. But there has been a consistent lack of transparency regarding the full implications and impacts of mega development projects on communities in Mexico (and beyond). Mexico´s environmental ministry, the Secretariat of Environment and Natural Resources (SEMARNAT) and the National Water Commission (CONAGUA)—incredibly—publicly deny any knowledge of the proposed Paso de la Reina Hydroelectric Project. So, not surprisingly, some residents of Paso de la Reina who´d heard about negative impacts of dam projects in other communities and were suspicious of the CFE´s promises of a rosy future. Others in the community pointed out that a much smaller dam built just below Paso de la Reina in 1992 devastated local fishing in the brackish waters abundant with a diversity of fish by creating a barrier between the river and the ocean. Having seen the negative impacts of a dam firsthand as well as in other communities, concerned residents decided to get more information. They contacted Services for an Alternative Education (EDUCA), a Oaxacan non-governmental organizations known for their work in indigenous and environmental rights and the defense of territories, and invited them to present their information and experiences to residents of Paso de la Reina and other local communities in community forums. Those wary of the Paso de la Reina had their concerns about false promises and negative impacts confirmed during EDUCA’s community forums. The thousands of jobs that CFE engineers had promised, for example, were illusory. Building and operating a hydroelectric dam mostly requires workers with technical skills, including operating heavy equipment—skills that campesinos and fishermen don´t possess. And the livelihoods of most people in the region that would be impacted by the dam project come from agriculture—and much of their rich farmlands would be lost with the proposed project. Another detail that the engineers failed to mention, but that was revealed in documents acquired by EDUCA, was that a smaller dam below Paso de la Reina was also in the project’s plans. 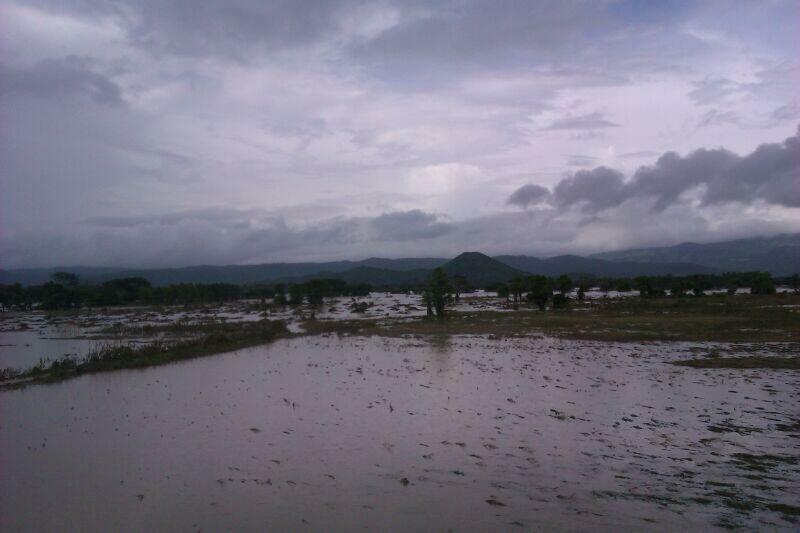 That omission effectively avoided the fact that the entire community of Paso de la Reina would disappear under water. The CFE´s proposed one-billion-usd.-hydroelectric project involves the construction of a 640 feet tall dam just a little over a half-mile above Paso de la Reina, together with a smaller dam one roughly a half-mile below the town, would flood community, together with roughly 5,000 acres of its prime agricultural and forest lands under water. The Paso de la Reina project is just one of many dams and mega-industrial wind farms projects aimed at providing an extensive energy and transportation infrastructure to support the massive Mesoamerican Integration and Development Project (MIDP project. The international “development” scheme would create a vast industrial/maquiladora network from southern Mexico to Colombia. These mega development projects, many funded with loans from the Inter-American Development Bank, have caused massive displacement and forced migration, loss of agricultural lands and of access to water for many communities throughout Mesoamerica. “We’ve learned over the six years that we started to organize that the government´s and transnationals’ plan is to begin with this megaproject, with the idea of eventually owning one day all that belongs to us,” said Senovio Chávez Quiroz, former Municipal President of Paso de la Reina and an outspoken member of COPUDEVER. “Essentially they want to privatize the lands of campesinos, turning us into servants of others rather than the owners and caretakers of our own lands,” Chávez said. “Today we are the owners, but tomorrow we’d be other peoples’ slaves. And this is happening throughout our region, and in many other areas. It’s not humane”. During the festivities women several women community leaders addressed the crowd, pointing out the importance of their participation in the struggle. Padre Guadalupe later pointed out that while political parties have consistently sought to divide the movement against the dam project, that the unity among the people has prevented that from happening. “In spite of the attempts to create divisions, there are people in COPUDEVER from a variety of political parties that are actively participating and resisting because they share a common goal—the nonviolent struggle to defend their lands,” he explained. Several people pointed out that their struggle against the Paso de la Reina hydroelectric project is just one example of many struggle of peoples to their territories. And they spoke of the importance of building alliances with other struggles against mega development projects—not only locally, but also on national and international levels.